At Coil Spring Specialties, we manufacture coil springs for all makes and models of electric and alternative-fuel vehicles. The electric vehicle market is an emerging market, involving customized vehicles with unique load and weight distributions requirements. 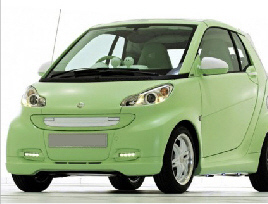 Added weight due to battery, electrical drive motors and components, and fuel storage cells, significantly change the ride and handling characteristic of the vehicle. Springs are designed to carry the additional load and set the vehicle at the trim height your desire.